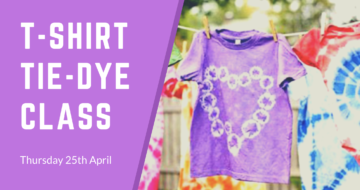 Learn how to dye a t-shirt, bag or pillowcase in rainbow colours! This is a kids-only class, please provide a small snack for a 15-minute break. 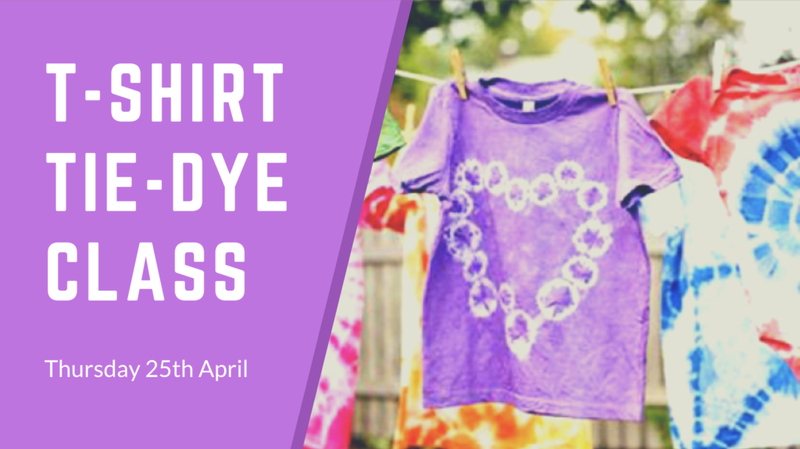 This T-shirt tie-dye class will be running from 2pm to 4.30pm. Pre-booking essential. Contact us on 053 9120733 to book.